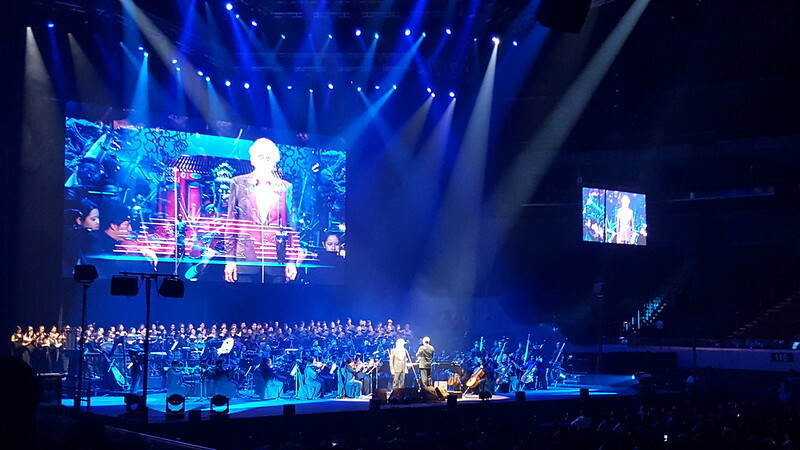 A couple of weeks have passed since Andrea Bocelli’s concert in Manila and I am still listening to his double CD-DVD album Cinema while working. It was a magical night at the Mall of Asia Arena last April 26 where for once in a very long time, I enjoyed a concert without the glow of LED lights from cellphones and cameras blinding my eyes. Video and photos were not allowed. Just as well, I got to relish Bocelli’s every last note with his voice so clean and crisp. 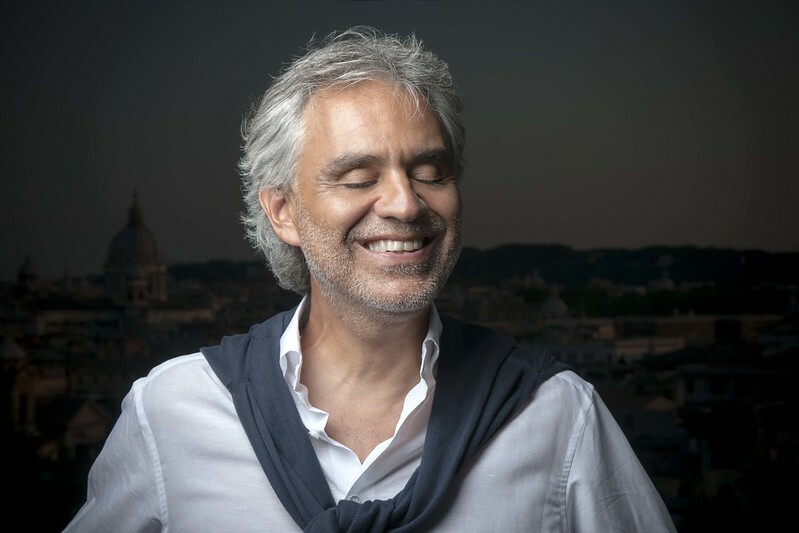 For a good two hours, the entire arena was silenced and focused on the voice of the 57-year old tenor, Andrea Bocelli. He was accompanied by the ABS-CBN Philharmonic Orchestra and Ateneo Chamber Orchestra conducted by Carlo Bernini. The concert was divided into two parts. The first was composed of Italian arias, with “La Dona e Mobile” from Rigoletto being the most well-known song in the set. 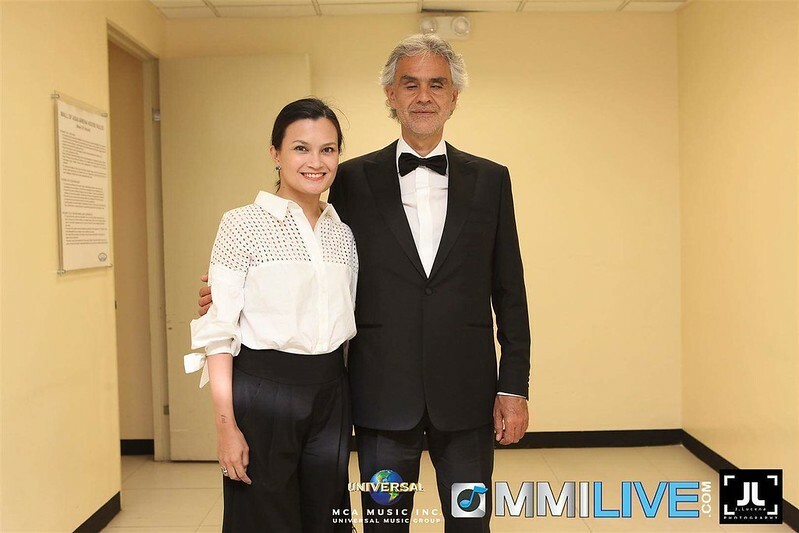 In the 12 years since I last saw him perform in Manila, Bocelli appeared older now but very distinguished with his silver hair and lean physique. His duet with soprano Maria Katzarava of Verdi’s Libiamo ne` lieti calici was a delight. The second set focused on his current album, Cinema, which features Oscar-winning scores from movies like Doctor Zhivago, Breakfast at Tiffany’s, Evita, Cinema Paradiso and more. The second part opened with a more familiar “Maria” from “West Side Story”. I loved seeing movie clips from The Godfather as Bocelli sang “Brucia la terra”. I was so taken by Italian flutist Andrea Griminelli’s rendition of “Gabriel’s oboe” from “The Mission”. A big surprise was the evening’s pop guest, Christine Allado, a Filipina performer in London’s West End. She won the audience’s heart with that cute duet “Cheek to Cheek” with Bocelli which they finished off with an actual cheek to cheek gesture. The “Canto della terra” duet with Allado was very powerful that even Bocelli seemed overwhelmed, he literally swept Allado off her feet. I sat through the performances with that silly look with a half-smile and my eyes nearly tearing up. That’s how I felt while watching him – happy and in love. I was taken away from the realities of life — no negativity from Facebook, no election-related talk, no deadlines, just beautiful music . As wonderful as those two hours were, I couldn’t wait for the concert to end because I knew I was going to meet Andrea Bocelli backstage. 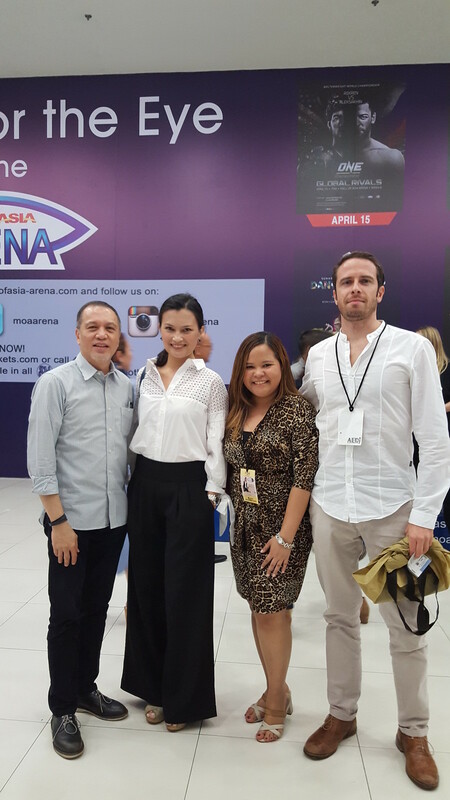 With Ricky Ilacad (CEO, MCA MUSIC), MJ Juco (Strategic Marketing Manager, MCA MUSIC), and Archie Gormley (Director for Strategic Marketing in Asia, Universal Music Group). 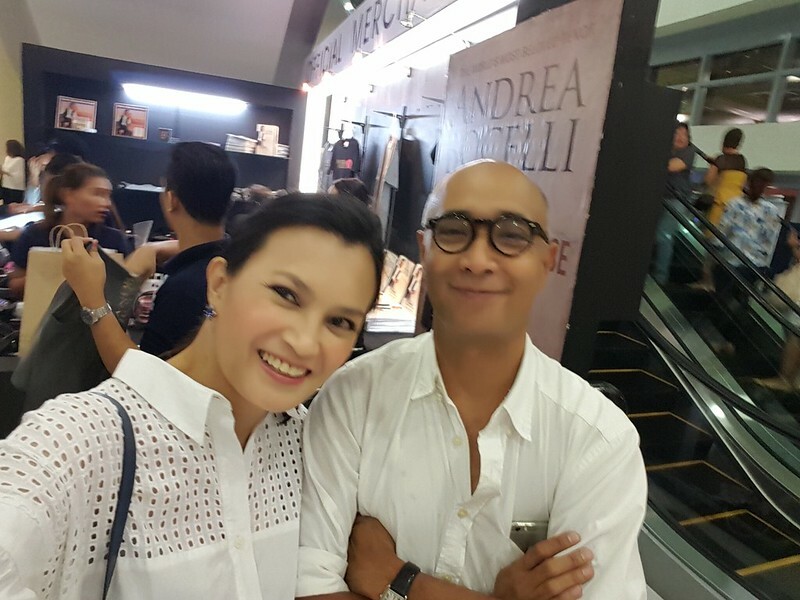 My invitation to meet Mr Bocelli came from MCA Music’s MJ Juco. She told me I would be given some time to meet him either before or after the concert. She also facilitated my interview with Mr Bocelli. As for my husband and my tickets in the Lower Box, we bought them regular priced online. After the show, I was whisked backstage. I waited outside Mr Bocelli’s dressing room while the MCA Music execs presented him with a combined 10X PLATINUM AWARD. This was in recognition for the outstanding sales performance of his brand new album “Cinema” and various catalogues, selling over 150,000 units in physical and digital formats in the Philippines. After the record company did their plaque presentation, I entered the dressing room by myself. 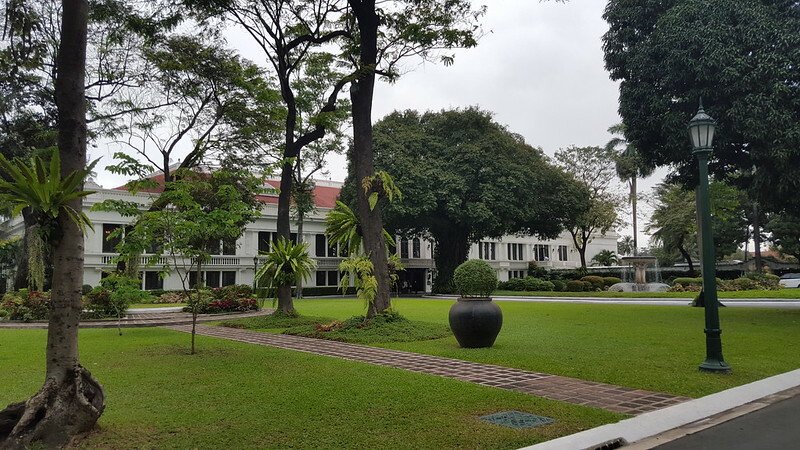 I expected an empty ante-room or reception lounge before seeing Mr Bocelli but when the door opened, he was actually standing a few metres away. I was very surprised. I just wanted to keep my eyes on him. I was greeted by a very beautiful and friendly woman, Veronica Berti, Bocelli’s wife and manager. 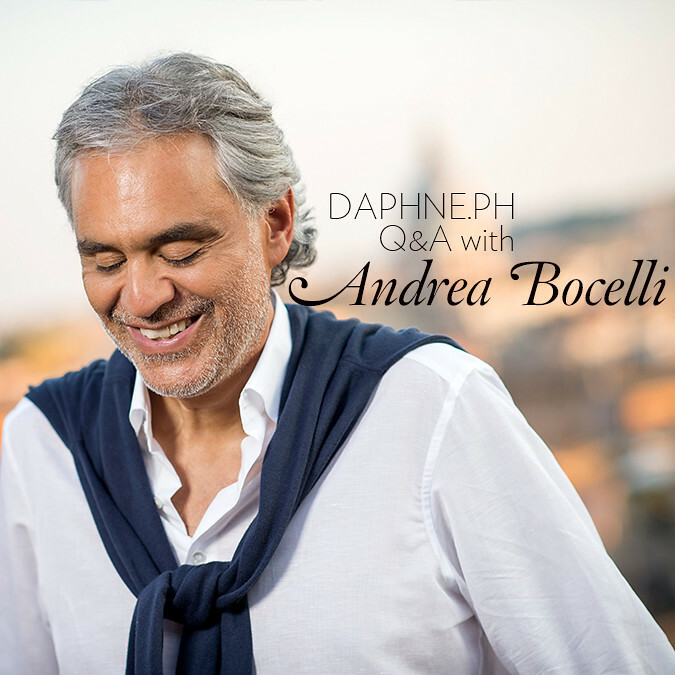 She introduced me to Mr Bocelli and asked me about my blog, daphne.ph. 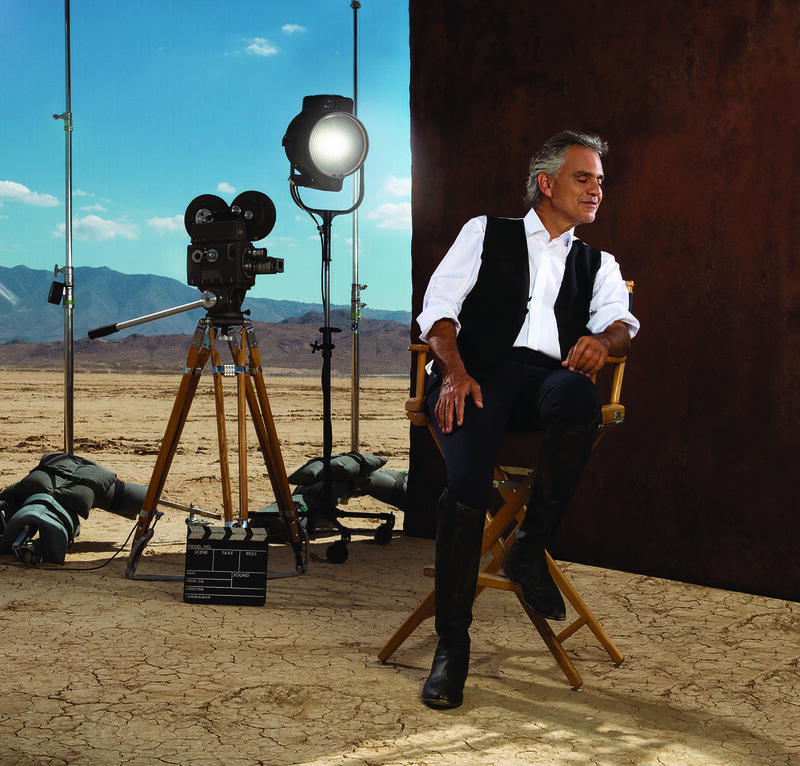 Then she led me to my position beside Mr Bocelli while the official photographer took the shots. It happened quite fast. And it may have been a language issue, but no one told me it was over. So I said, “Thank you.” And Veronica asked me if I liked the concert, to which I answered in superlatives. Mr Bocelli smiled. I looked into his eyes, knowing he couldn’t see me and thanked him for touching my soul. Your new album “CINEMA” features a collection of songs from some of the greatest movies. What is your favorite movie/story? Why? In my youth, I was very fond of musicals with Frank Sinatra. As a child, I was fascinated by the heroes that my parents liked, for instance, the couple Fred Astaire and Ginger Rogers. Although for a long time, I happened to listen, appreciate and sing some songs, without even knowing that they were taken from famous films. As I have already had the opportunity to point out, if movies are a ‘dream factory’, the music that supports them often keeps and concentrates in itself all their magic and sentimental vitality. I am really pleased I have achieved this musical project that I have had in my heart for many years: finally I have selected and “fixed” the songs linked to cinema that I love most, that have marked my life, that have made me grow, have moved and amused me. In this album, I have tried to concentrate the best of best. Is there a difference between songs that are created specifically to score a movie and those that are released on its own? I think that the scores conceived for films in many cases are a step ahead: they are potentially freer, more creative, being not necessarily subject to the schemes neither of classic songs, nor to a topic necessarily referring to love. Thus we are speaking of “utility music”, because it gives a sound to images, but it can also represent an exciting challenge for composers and turn, sometimes, into masterpieces, into songs that live independently and, that as in the pages I propose, go beyond all generational barriers, becoming real immortal classics. The films which are represented in your album “CINEMA” are from different times and places. If you could choose a certain time and place to live in, what would it be? Why? I must say that I am pleased with the historical period I am living, and I am particularly happy I was born in Italy. Anyway playing along with the question, I must say that I am particularly fascinated by the extraordinary period featuring the last decade of the nineteenth century, when Giuseppe Verdi was still alive, and Puccini was writing his first masterpieces along with his fellow composers like Pietro Mascagni and Umberto Giordano. What goes through your mind when you are singing? I try to be concentrated, to live fully what I am proposing, in order to succeed in making the listener share the great emotions that every repertoire, when valuable, can convey. When I sing, I always try to have a direct relation with each individual listener, hoping to convey positive emotions. In fact, when I am on stage, my desire, my goal is to be able to enter the hearts of those who are listening. Before a show, I have no good luck rituals, nor superstitious routines, and I do not pursue any particular escamotage to maintain self-control. I try to spend my time in isolation, trying to maintain the maximum concentration, and I observe when possible, strict silence in the twenty four hours preceding the concert. No need to say how happy I am, when I have the possibility to have next to me my wife first, in the dressing room and then with the audience (something that happens almost always, because Veronica, besides being the woman of my life, also takes care of my management) and my beloved children. A few hours before the show, I have to provide for my body a sufficient amount of energy necessary for the effort on stage such as proteins, sugar, but also carbohydrates (I prefer rice with oil). A bottle of mineral water must always be at hand. I was at your last concert in Manila about 12 years ago and the experience of hearing and watching you live is forever etched in my memory and heart. What were your fondest memories about that trip to the Philippines? I have fond memories of my first trip to the Philippines. It was a very intense and positive experience. The warmth of the Filipino audience really struck me and I received moving demonstrations of love. 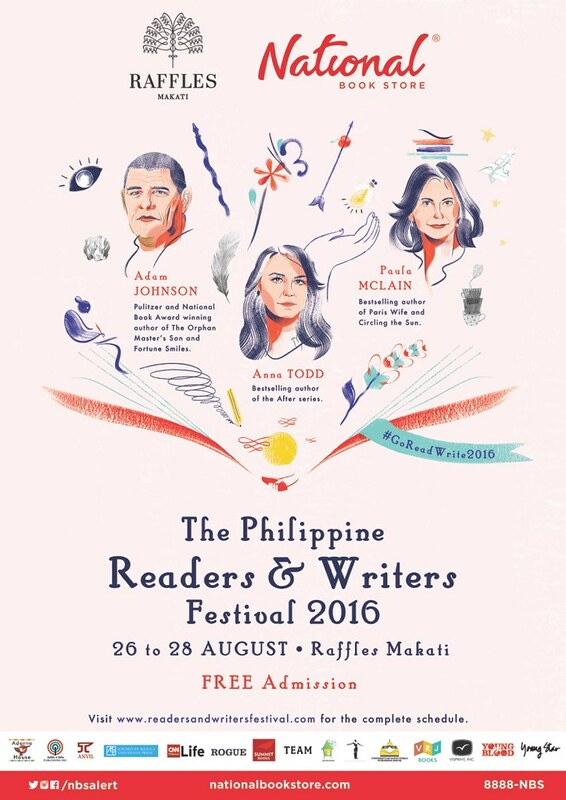 This is one more reason to be excited at the idea to be back in Manila again, trying to give my best on stage. Your philanthropic efforts (focusing on poverty alleviation, disability and social exclusion) are so noteworthy and noble. What role do you see art and music playing in making a difference in our current world? Let me say, first of all, that at the base of the creation of the foundation bearing my name, there is this consideration: Life is like a great banquet where we are all well if there is a bare minimum for everyone. But if, for whatever reason, there is someone who is not well, the banquet will fail. For this reason, I am convinced that solidarity is not only a moral duty, but an act of intelligence. I believe that goodness is the only viable path for the whole of humanity. As for art, I think that it can educate us to beauty; it can open our hearts and minds. Music is the voice of the soul, it moves on paths that penetrate the most intimate spheres of our psyche, without being affected by any conditioning. I think that good music carries a strong message of peace and brotherhood. Very often, I mention in this regard, Cato Uticensis a politician and intellectual of Ancient Rome, who suggested the rulers of the time to prevent soldiers from listening to music, because in his opinion this art was likely to soften their mood, thus making the warriors unable to fight! Artists, I believe, should be fully aware of the great importance they play in society because art and culture improves the development and peace in the world. Read my Inquirer article here. I was supposed to post this early today but I have been glued to the TV and Facebook because of the Philippine national elections. Promise, no talk of politics here. 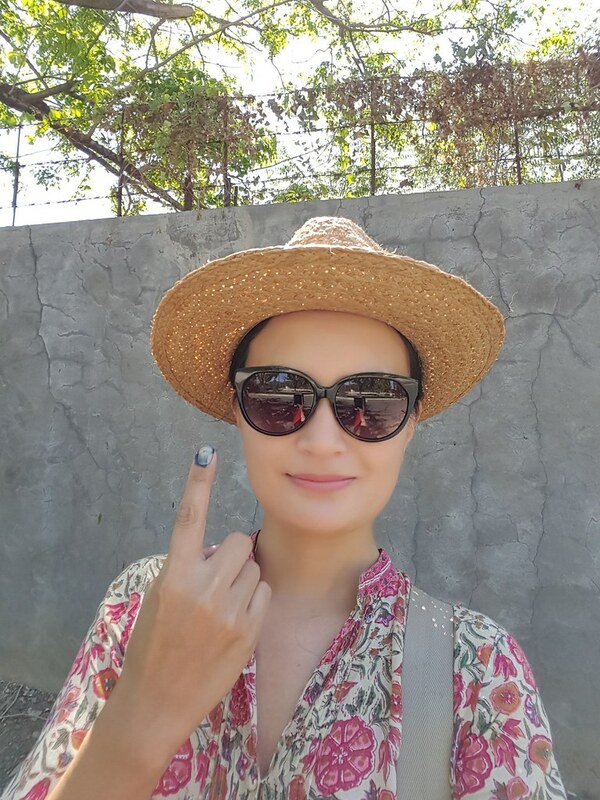 I posted my selfie after voting yesterday. And my friends shifted the discussion from the voting process to my skin. Ok ya, that photo is flattering. I think my phone has a natural filter. But I wasn’t really that fresh. I stood in line outside in the heat for almost two hours. I wore a hat and sunglasses and used an umbrella. I also had two fans, a manual and battery operated mini fan. My friends asked me about my beauty regimen. This is not to say that I am an authority in beauty. I’m not. It’s not something that I dwell on. But I do make an effort to take care of myself. My regimen is not complicated. But it takes a bit of commitment. Last weekend I broadcasted live on Facebook. I was so amused at all the questions sent to me. I think 80% was about beauty. So I know that this is something important to you, my readers. Like I always say, all I do is get a facial and a Power Peel at Belo every three weeks. I barely use any products on my face because I have tendency to be oily. I only use moisturizers when we are traveling in a cold climate. Here in Manila, my skin remains hydrated naturally, so I don’t add creams. I only spend on makeup remover and the occasional sunblock when I know I’ll be exposed. I have been going to Belo for about eight years now. My regimen has remained the same. I like sticking to what works. I am happy with the quality of my skin. I can go out of the house, and even attend events, with no make up on. Seriously. Fast forward to now, it is the month of Mother’s Day. I know most moms would love to get treats and pampering. So Belo Medical Group and I partnered to bring this amazing opportunity for you to get the same treatments I do. Most moms work too hard – in the office, on location, at home, and even just before going to bed. It seems like we are always “on” and never on break. Sometimes it feels like the entire house will fall apart if we were absent. But really, moms need to take a break regularly. Let everyone else pick up the slack. Take care of yourselves first before you can care for others. 1 session of Glycopeel Cleaning/Honey Almond Cleaning — An aromatic honey almond scrub that gently exfoliates dead skin cells and is perfect for those with dry and sensitive skin. 1 session of Body Scrub — The body scrub makes use of sea salt or sugar scrub to gently remove dead, dry, rough skin, leaving it soft and smooth. 1 session of Exilis in the abdomen area — A new body contouring and skin tightening machine. This makes use of focused RF technology to treat jowling, loose skin on the neck and décolletage area. It can also help fat and flabby abdomen, back, arms, legs, and knees. 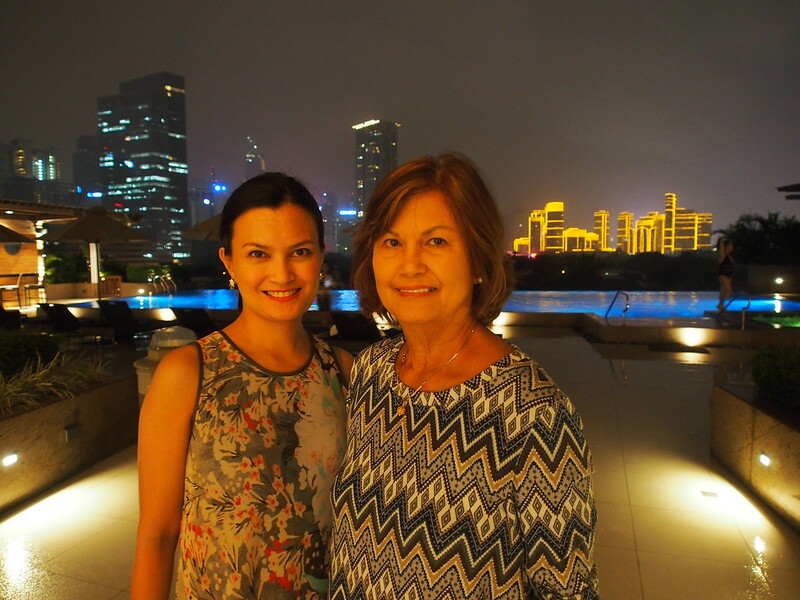 Upload a photo of you and your mom on Instagram and tell us why do you want to treat your mom to a #BeloPamperDay. There will be one winner who will get all three treatments. Winner will be notified in Instagram. 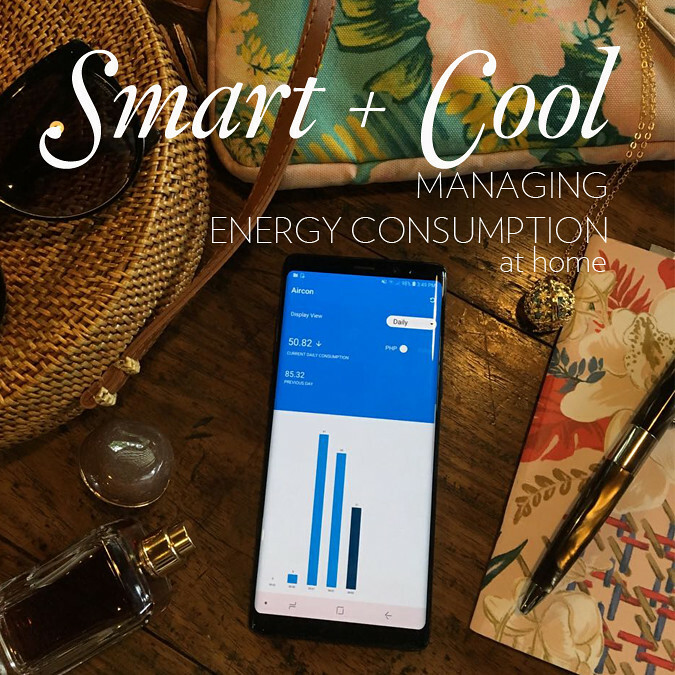 Contest runs from May 10-13 up to 3pm Manila Time. Announcement of winners can be on May 13 shortly after contest ends. You may claim the prize from May 16-20. The GC is valid for 6 months.